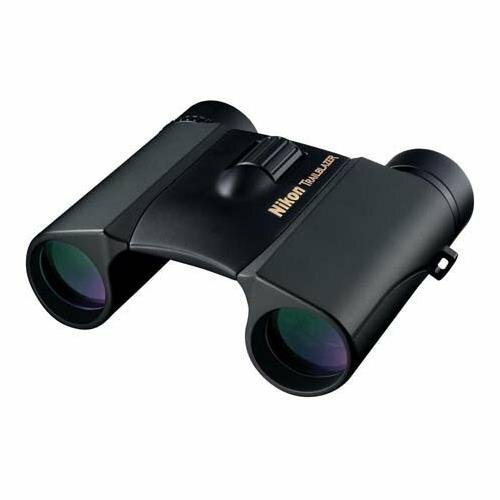 New Nikon 8218 Trailblazer 10X25 Hunting Binoculars. Nikon Trailblazer Binocular 10×25, Waterproof ATB, The waterproof/fog proof Trailblazer is Nikon’s newest compact All Terrain binocular. Sleek, lightweight body, lead-and arsenic-free Eco-Glass optics and rubber coating provide a comfortable grip. Multiple layers of anti-reflective compounds offer crisp, sharp viewing. Magnification: 10x Objective Diameter: 25mm Angular Field of View: Real 6.5; Apparent 65.0 FOV at 1000 yds (ft): 342 Close Focus Distance (ft): 11.5 Exit Pupil (mm): 2.5 Relative Brightness: 6.3 Eye Relief (mm): 10 Length (in): Width (in): Weight (oz):, Mfg No: 8218, Manufacturer: Nikon, Warranty: Lifetime Full Warranty. If any product is found to have defects in workmanship or materials, Nikon will, at their option, repair or replace it at no charge, even if you’re not the original owner. Magnification: 10x Objective Diameter: 25mm FOV at 1000 yds (ft): 342 Relative Brightness: 6.3.